Features: Our Febou Crystal Roses Wedding Bouquet is made of real-looking roses PE flower. This bridal bouquet is bigger than normal and has more roses, which is very beautiful and elegant. The design is fashion and modern. High quality and 100% brand new. Made by hand craft. 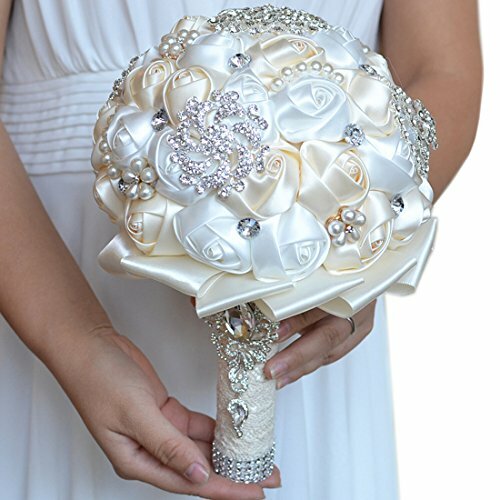 The handle is wrapped in satin ribbon and decorated with Rhinestones. I really recommend this bigger size wedding bouquet because its size is more suitable for wedding to make you more elegant and beautiful. And the price is just a little different from the small one. 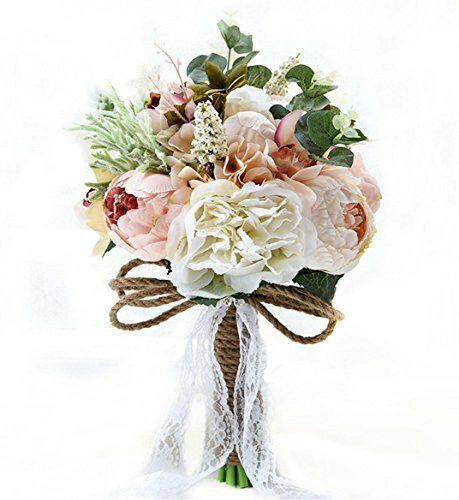 So get this wedding bouquet now and hope you have a wonderful wedding! 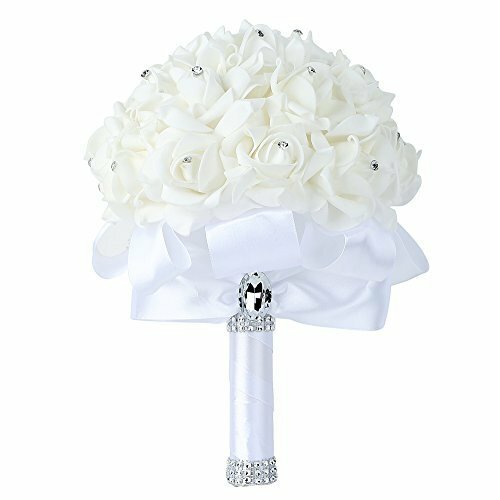 Color:White Big Size Material: Crystal, Rhinestone on Artificial PE Rose Flowers Occasions: Perfect for wedding as bridal bouquet, bridesmaid bouquet or toss bouquet, perfect for party, home, room decoration, church etc. 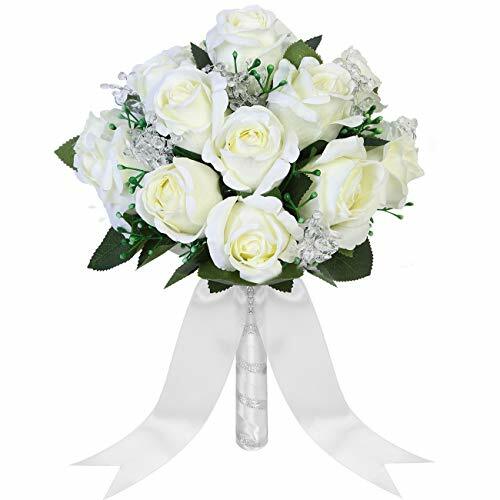 Package Included: 1x Febou Crystal Roses Wedding Bouquet Notice: If the price of your ordering items changed within 7 days, we can make compensation for the price difference. Bouquet Diameter 9.8 inch,Height 8.7 inch. Material: Silk flowers and leaves, plastic vines ,fresh color,poisonless and harmless.The handle is wrapped in satin ribbon. 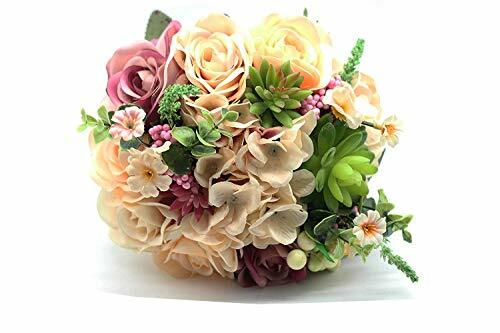 Occasions:It is great for wedding , party , office decoration ,decor, altar, church,corsages, pew bows, reception centerpieces. A beautiful keepsake to pass on to the next generation. Imagine your grand daughter carrying your bridal bouquet down the aisle. Silk flowers won't wilt in the heat or freeze in the cold. The consummate choice for all weather conditions. Our wedding bouquet are made by specialized home flower and wedding flower manufacture. With years of manufacturing experience, these bouquets are made by fine material and elegant design. 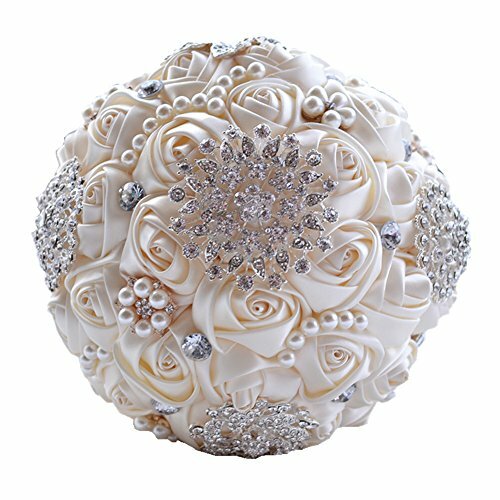 We have been selling these brooch bouquet for quite some time and got many good reviews and feedback. It will be a perfect bouquet to use in weddings. Zippersell wedding bouquets are made by specialized home flower and wedding flower manufacture,hope to match every bride's dreaming for wedding Product Details: 1.Package Include: 1* bridal wedding bouquet 2.Length: 7.9*12.5inches(LxH),Weight: 0.8pound 3.Decoration:Silk flowers,lace and crystal 4.Style: Classical Romance 5.Usage: Wedding Ceremony Note: The real color of the item may slightly different from the pictures shown on website caused by many factors such as brightness of your monitor and light brightness. If you have any question or suggestion,please connect with us.Thanks for choosing Zippersell ! Perfect for wedding celebration, party, ball, outdoor, photography and wedding photos, etc. Another detailed video tutorial that shows viewers how to make a more budget-friendly, on-trend bridal bouquet. Want more Bridal Bouquet similar ideas? Try to explore these searches: Gucci Mens Driver, Two Button Worsted Wool Suit, and Home Diffuser Refill.